Last evening I watched Rick Stein munching his way through Malaysia. This was a repeat viewing as I had seen his Far Eastern Odyssey while in Singapore. His rapturous description of beef rendang had me salivating and dreaming of my years in Singapore and the many delightful Malay meals I had eaten. I miss the punchy spiciness of this cuisine and much as fresh New Zealand bread and dairy produce has its attractions, I still prefer Malay and Chinese food. Stein is an interesting man who, while identified with Cornwall, in fact now lives in Mollymook, Australia, with his publicist fiancée. His father committed suicide and he has a brother who is a university professor. It is rare that I give a direct plug to someone, or something, but I would like to do so in the case of one of my best friends and a former colleague, Colonel Richard Hall, OBE, MNZM. His book "A Long Road to Progress: Dispatches from a Kiwi Commander in Afghanistan" has been very well received by the New Zealand public and chronicles his tour of duty and the observations he made along the way. 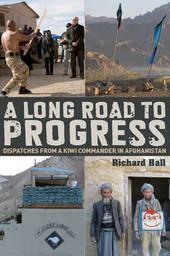 As the promptional blurb says " As Commander of the New Zealand troops in the Bamiyan Province of Afghanistan, Colonel Richard Hall gained a unique insight into the lives of Kiwi soldiers serving in a harsh climate amid daily threats, as well as into the lives of the locals - from the female governor trying to establish order in a patriarchal society, to the farmer scratching a living from an inhospitable land, to the orphaned girls destined to be sold into marriage at a young age. He vividly and movingly recalls his experiences, but also explains the vision he tried to implement there on behalf of this country. He tackles the complex issues involved in an army that seeks to bring both aid and a Western way of doing things in a deeply Islamic country. 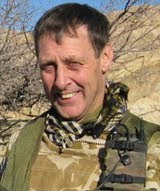 He offers an astute perspective on working with New Zealand troops, American soldiers, corrupt Afghani officials, intransigent aid organisations, while tackling crippling poverty, insurgents attacks, impossible terrain and severe weather. This is an important and fascinating view of New Zealand's role in Afghanistan". In an interview he gave in the last fortnight he indicated that any proceeds from the book will be going to provide further support to an Orphanage that he has sponsored in Bamiyan province. I cannot imagine for a moment that the government of Singapore would spend thousands of dollars constructing a bridge for mice. MICE maybe, but certainly not the rodent variety. However other authorities are not so reticent and news today that a British Council have spent £190,000 for a dormouse bridge over a road. The Council (which is reportedly cash strapped) constructed the three high-wire walkways to keep the tiny rodents safe as they cross a new bypass. Not surprsisingly the local residents think the money could have been better spent of fixing potholes and street lighting. Any passing falcon will view the procession of high wire mice much as we would view a sushi conveyor belt in one of Singapore's Japanese style restaurants. I had resisted the temptation to buy a pair of plastic sandals, known by their more common brand name of Crocs. 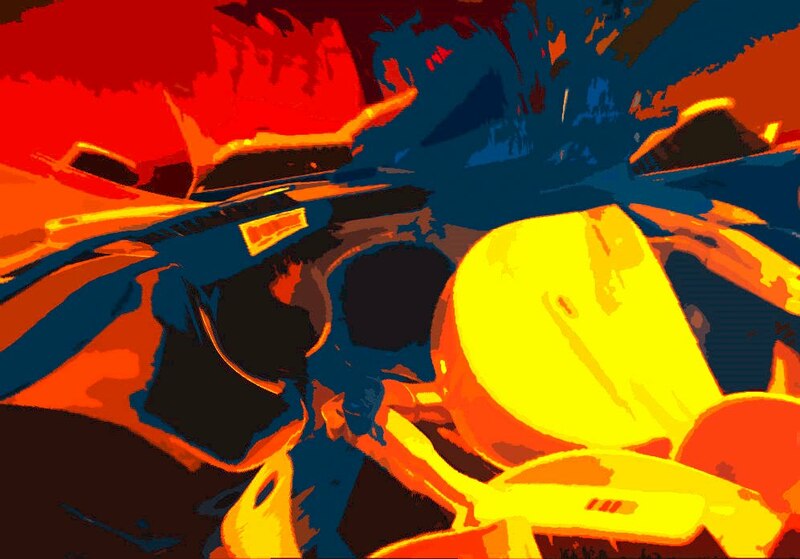 Embedded in my memory banks was my late mother's advice to always buy leather; plastic was in those times regarded as a substitute that only the poor should contemplate. In Singapore most of the shoe stores are festooned with Crocs in a dazzling array of colours, always highly priced and rarely discounted. They are in fact a modern form of galoshes or goloshes, to use the pre-1920 British spelling. First references to this type of overshoe came in the Middle Ages from the Gaulish shoe or gallicae. Back in New Zealand we frequent the Number One Shoe Warehouse to buy our cheaper footwear. Yesterday we discovered quite by chance their outlet store in the suburb of Glenn Innes. The place of full of cheap Chinese clones of better known brands and I brought a pair of red plastic sandals for $10. They look identical to the aforementioned Crocs and were probably made in the same factory, but they are completely devoid of any branding. I intend using them for garage shoes but will not be taking them on the streets for fear that their bright ruby red colour will stop cars in their tracks. Now I discover that this same footwear exposes the wearer to other hazards as the Singapore video below shows. Everyone Wants The Kiwi Dream? The is a report on the New Zealand Herald Online this morning entitled "Everyone wants the Kiwi dream". Apparently New Zealand is rated as the second most desired countries for potential migrants. Who I wondered was number one? It came as no surprise to discover that first place, based on the Gallup Potential Net Migration Index, was occupied by Singapore. This no doubt will delight the Singapore government but be of concern to its citizenry who are very sensitive about a further mass migration of new arrivals. In New Zealand a researcher, Dr Elsie Ho, has diplomatically stated "New Zealanders may be more accepting of immigrants who come from similar backgrounds, such as Britain and America, but not so with migrants from Asia, Africa and the Middle East for example"
With this she has touched upon the insular underbelly of racism in New Zealand. Those Asian migrants bewitched by the clean green image of the country often become quickly disillusioned by the insidious undercurrent of racism they discover here. They suffer worse than other migrant groups and this is born our by a second study on the barriers Asians face to equality in New Zealand. The Herald also reports a study being resented to he Human Rights Commission today in which one of its authors reports " Asians were the most discriminated against and earned the least income, despite barely featuring in social welfare statistics. Migrants felt most discriminated against in public places, employment and while shopping, according to a Department of Labour immigration survey". I have met Asian migrants driven to the verge of suicide by their inability to find employment or set up a business in this country. As a PR in Singapore I experienced no such feelings. In the main this Ang Mo felt very welcome at all times and as a result made close friendships with a number of Singaporeans of all races that will always be treasured. 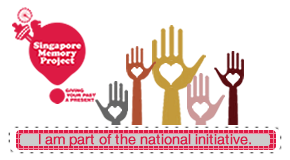 Singapore is a cosmopolitan republic and the government goes to great pains top promote racial and social harmony, even dictating the racial ratios within housing estates to promote integration. In New Zealand our approach to immigration is piecemeal at best and it is the non European migrants who suffer most from this apathy and antagonism. The Kiwi abroad is often regard as a warm and friendly bird. In their home roost however things are markedly different and it shames me to have to say so. Image by kamshots via FlickrThe unofficial national sport of New Zealand is garage sale-ing, not to be confused with Americas' Cup sailing which we also have a penchant for. The true officianado with have have scouted the papers several days before and penciled in any likely prospects. As their name suggests, garage sales take place in an owner's garage and the object of the exercise is to get rid of as much bric a brac as possible, at knock down prices. Garage sales usually feature at least one exercise machine. These are last year's model discarded after a couple of months of over exertion and hefty chiropractic bills, only to be replaced by the latest fad. Have you every noticed how the exercise demonstrators on television adverts all go through their paces with permanently fixed grins on their faces? At first I thought they were enjoying the experience but now I believe it is more likely a grimace of pain as they violently rotate their abductors in near impossible arcs. The names of the apparatus get even more exotic; the mid drive fluid motion quantum elliptical trainer for example. They have all the 'extras' including built in cooling fans and stereo speakers. 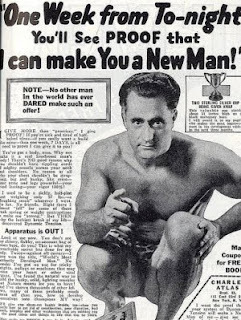 It used to be that people such as Charles Atlas sold a contraption with two handles and a set of springs between. These were bought through magazines by mail order and there was a certain knack to using them. Hairy chested men were particularly at risk if they got the exercise routine wrong. Exercise machines are now everywhere and prevalent in all cultures. You can't even go for a quite walk in the park without being confronted by at least one exercise option around every bend. Thankfully in Singapore the condo's are small and so most overt exercising takes place in the condo gym. There was one in Queens condo where we lived but I quickly discovered you needed a pilot's license to programme the walking machines so I preferred to take my exercise in the pool. 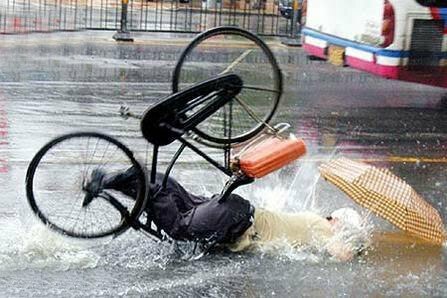 There are now attorneys who specialise in home exercise machine accidents and that has got to tell us something about the folly of buying these devices. As for me, I think I still have that set of springs in a cardboard box in the garage, or did I sell it? Several months ago I wrote about the consequences of having casinos operating in Singapore. In today's press comes the story of a business man who chalked up a staggering $26 million loss at Resorts World Sentosa over three days. Apparently he was playing baccarat at $400,000 a hand and no wonder he lost $18 million in one day alone. The media stories continue to demonstrate the negative social impact of casinos. Two days ago a tourist jailed for cheating $100,000 from Marina Bay Sands. A month before, a married gambler name Ong resorted to robbing homes to feed his habit. No one should be surprised that such headlines exist. I will be up front and state that I am not anti-casino and enjoy visiting them from time to time, but it is a fact of life that wherever one is built, crime is sure to follow. When the idea of the Integrated Resorts (casinos) were first touted there was a wave of public dissent in Singapore; to put it simply, the majority did not want them built in the country, knowing full well that the Chinese love to gamble and the impact this passion can have on families and businesses. And so it has proved to be. The reported tourist boost needs to be measured against the longer term social consequences of such places and only time will tell if it was wise to build them in Singapore? Image via WikipediaThe is nothing less edifying than a grown man indulging in a bout of cabbage wrestling in the local supermarket. Cabbage wrestling for the initiated, is the activity of attempting to bag an over large cabbage into a plastic bag torn from the dispenser. It is Murphy's law that the bag in question is always a centimetre less in circumference than the cabbage. Yesterday I watched a a large middle aged Russian mouth Slavic obscenities as he attempted this feat. The highlight of the performance was when his second finger got trapped between the cabbage and the inside of the bag. His wife watched with disdain as she moved on to the nuts section. The Russian was in the act of "helping", a singularly male pursuit; something I have often been guilty of myself. "Helping" has been known to engender a truly terrifying display of feminine angst especially when the male spots "specials" which are not on the shopping list. Today is not a shopping day and there has been a break in the weather. Our morning consisted of a drive around old haunts only to discover that there has been changes since 2006. The large Asian warehouse that we bought foodstuffs from is no more and has been replaced with a warehouse full of cheap Chinese tat. Oyster and hoisin sauces have been replaced by racks of women's undergarments in a mind boggling range of hues. Floor to ceiling stacks of sand shoes and mass produced tin toys are everywhere. A half an hour later and we were sitting in our car on Mission Bay's waterfront, looking at the volcanic cone of Rangitoto. The Spirit of Adventure's schooner motored past on the horizon and there was a squally blow coming from the direction of Waiheke Island. Image via WikipediaWe are temporarily renting in Auckland's Bucklands Beach and move to our own new house in a couple of weeks time. 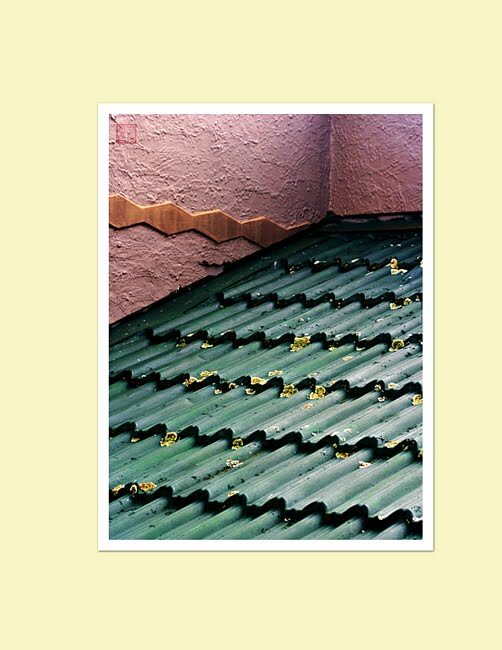 A major part of the decision to quit our condo in Singapore was the noise emanating from our neighbours, especially the Japanese tenants directly above us. We found them a most inconsiderate race who refused to discuss any issue with their neighbours. The staccato clack of their wooden footwear (geta) on the marble above our heads drove us to distraction at times, as did their propensity to chain smoke and flick their cigarette detritus into the apartments below. So you would have thought we would have learned from our experience in Singapore. Regrettably not, as the small one bedroom flat in which we are temporarily domiciled is directly below that of our landlord. With two active children below school age their lifestyle is clearly not ours and the children running back and forth above us produces an effect similar to living inside a snare drum. Singaporean children are brought up to respect the rights of their neighbours and it rare to have their noise upsetting the social equilibrium of the condo or HDB community. Perhaps this difference in attitude is these children are brought up to respect the rights of others? There is no doubt that the lifestyle of children in New Zealand is a more active one and the climate is more conducive to hyperactivity. As children in a rural service town we were always running around outside on the grass lawn, playing games of rugby on the verge between the road and the house, riding bikes at breakneck speed up and down the pavement and generally causing mayhem. But this activity was never allowed to upset the neighbours and ceased once we were inside the house. This style of parenting has regrettably been lost. Respect for others is a learned skill, not a genetically pre-programmed attribute. fog in the channel towards Rangitoto. the race and day begun. This will be the first national day I have missed in four years but at least I had the pleasure of watching the air force going through its practice maneuvers from Fort Canning Lodge, on the eve of our departure back to New Zealand. I have fond memories of the visual displays of patriotic fervour - the red and white flags fluttering from the HDB windows and the fireworks. The theme this years is Live Our Dreams Fly Our Flag and the main events on the Padang will be webcast. New Zealand's Waitangi Day, which is meant to be our national day, is a divisive joke. The nearest we get to the Singapore example is Anzac Day where the country pulls together to remember our war dead. So Happy Birthday to my favourite republic and to the many close friends that I made while living there. I shall be with you in spirit. Outside our kitchen window is a self sown tomato plant from last season's crop. It is struggling to survive the winter, a bedraggled reminder of a more glorious summer past. Adding to its misery are the predation marks of a caterpillar but it has luck on its side. This winter has been mild by all accounts and thus far there have been no frosts to kill it off. I have an empathy with this tomato plant as I too look somewhat bedraggled after being cooped up in the house for three solid days as the winter rains battered Auckland. Dishevelled might be a better term, as I have not had a haircut since leaving Singapore in a vain attempt (pun intended) to have my hair longer during the winter months. It is also interesting how hair behaves differently in tropical climates. 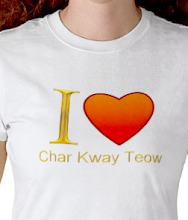 In my own case while we were in Singapore it sat well and grew with alacrity. Here in New Zealand it does just the opposite, sticking out in all directions and proving almost unmanageable by brush. This I think is largely to do with the dryness of the atmosphere. One thing about tomatoes is that they are good for you. This wasn't always realised as they are a member of the deadly nightshade family and were originally considered toxic, causing many conditions like appendicitis, “brain fever” and cancer. According to a web source, tomatoes were not even eaten in the US until the early 1800s, when an eccentric New Jersey gentleman Colonel Robert Gibbon Johnson brought them back from a trip overseas. Always one to take advantage of a dramatic opportunity, he announced an amazing display of courage would take place on September 26, 1820. He shocked his hometown of Salem by consuming and entire basket of tomatoes in front of a crowd of spectators, expecting him to keel over any second. Maybe the longevity of the Japanese is due to a diet rich in tomatoes? Mind you, the supposed long life of the Japanese is now proving to be more myth than reality. Local authorities there are currently searching for the centenarians in their records as no one seems where they are? The search was triggered when authorities in Tokyo went to visit a man they believed to be Tokyo's oldest at 111 years old, only to find he had been dead over 30 years. He is now listed as Tokyo's youngest mummy. I have come to the realisation that matching the relative prices of boxes of tissues in the supermarket could become an excessively boring activity. It is now several weeks since I was gainfully employed in Singapore and it will be a few weeks more before I test the waters of the NZ job market. My day is spent making purchases of the domestic variety. I have noticed, as I did today, that most of the shoppers are greying at the temples and seem to know all the lyrics of the sixties music which is piped around the supermarket's sound system. The fact that I too knew every word of the songs was rather sobering. One white headed orthodontically-impaired spinster was tunelessly gumming to Little Eva's Let's Do The Locomotion (video) although clearly in her case it was a dream too far. Even the food demonstrators are become wary of me as I circle with the homing instinct of a Great White around their pizza stand. The urge to refill my toothpick with some dainty morsel is a primary motivation. The origins of the modern supermarket are not wdiely known. 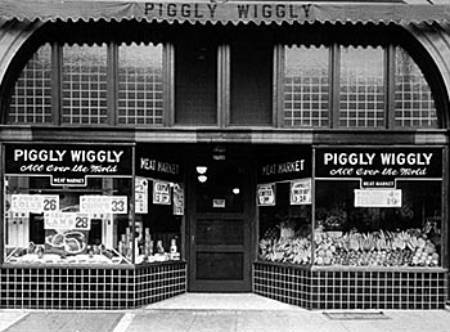 In 1916 one Clarence Saunders opened the Piggly Wiggly store in Memphis. He provided astonished shoppers with baskets and sent them through the store to pick what they needed. Pior to this self-serve revolution such activity was a task reserved for store clerks. According to another source on the web, the invention of the car ignition switch also had a direct impact on the growth of supermarkets. "Previously, housewives had to limit their shopping to store within walking distance; it was too difficult and dangerous to turn the starter crank to get the car started. But once their was an easy way to start the car, housewives were set to travel miles to get a bargain".